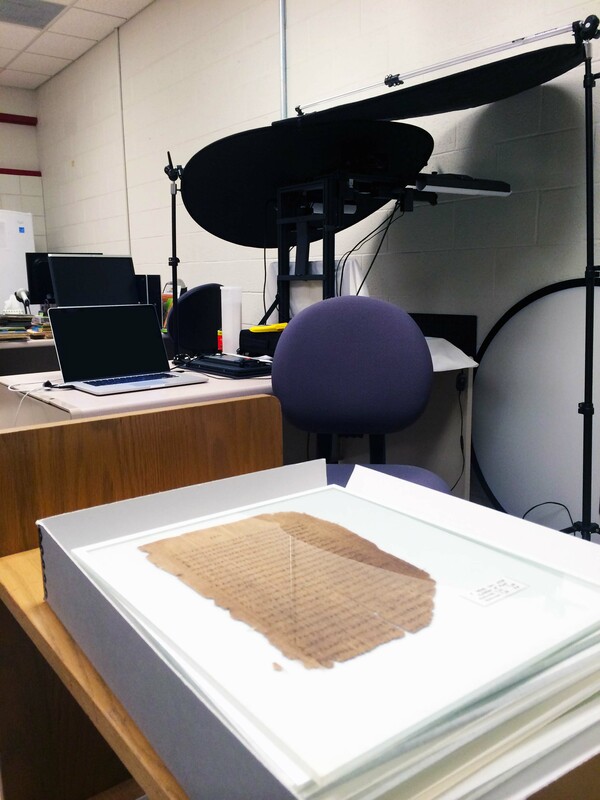 In July of 2014 the Center for the Study of New Testament Manuscripts (CSNTM) traveled to the University of Michigan in Ann Arbor to digitize their New Testament Papyrus of Paul’s letters (P46). The CSNTM team consisted of Daniel B. Wallace, Robert D. Marcello, and Jacob W. Peterson. This was part of a combined project which will virtually reunite P46 since it is housed in two separate locations. The University was gracious to allow CSNTM to digitize their portion of the manuscript, and our staff was able to work with the University’s preservation department, which is known around the world for their work in papyrological preservation. A special thanks goes to Dr. Brendan Haug, the archivist of the Papyrology Collection and an Assistant Professor in the Department of Classical Studies, for his willingness to participate in this project and for his hospitality.